I have a friend whose nephew was a dog handler for the U.S. military, training dogs for work in the Middle East. I even had the privilege of watching him work with his dogs. So, as you can imagine, when a movie about a military working dog who served in Afghanistan came out, I was keen to see it. I was expecting an adult movie but as it turned out, Max (2015), which is partially based on actual events, is actually aimed at family audiences. Dogs have been used as loyal and devoted partners in military campaigns throughout history. They have served as messengers, fighters, and rescuers, and their keen sense of smell has been put to use for tracking and detection. In 2011, 600 dogs were deployed in Iraq and Afghanistan. Their current roles in the U.S. military includes the detection of explosives, weapons and narcotics as well as the more controversial role of intimidating prisoners. Modern electronic technology enables dogs to carry miniature cameras and microphones so that they can also serve as advance scouts for their units, and relay vital information back to their handlers. This is the starting point for the movie Max, which opens with news type video footage of military working dogs in action before it leads into the story. 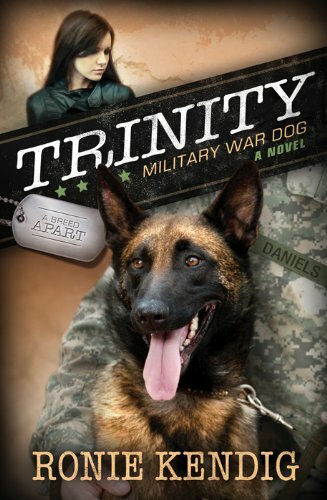 The plot took its inspiration from the true story of Lex, a bomb sniffing dog who worked for the Marines. When Lex's handler Dustin Lee was killed in Iraq, Lex refused to leave his side, and later attended Lee's funeral (which became the inspiration for one particularly heart-wrenching scene in the movie). After the funeral, the family spent months lobbying both the military and the government for custody of Lex. There were concerns that he was too aggressive to live in a family situation but he developed a good relationship with Lee's younger brother, and this helped the family's case. Consequently, Lex became the first retired Marine dog to be adopted by his handler's family. 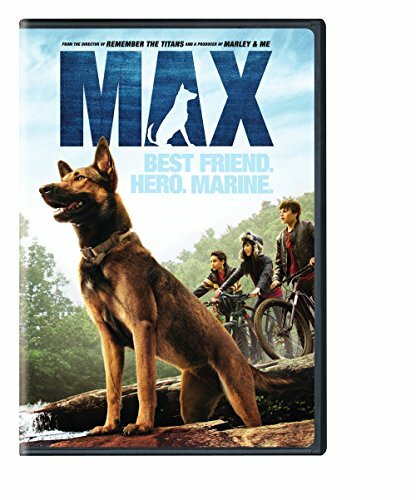 Written by Boaz Yakin and Sheldon Lettich, and directed by Boaz Yakin, the plot of Max is fairly predictable, but also a bit unusual as it straddles across genres. As a movie about a Belgian Malinois traumatized by war and loss, it is first and foremost a movie for dog lovers. It also has elements of family drama, action adventure and coming of age story. The real life Dustin Lee and Lex serve as the models for Kyle Wincott and his dog Max. Kyle's character is very much based on that of Lee, who was described as an animal lover, a patriotic American, and a proud Marine. When Kyle is killed in action Max, like the real life Lex, refuses to leave his side and, as previously mentioned, attends his funeral and later develops a relationship with Kyle's younger brother Justin. Justin is nothing like his brother Kyle. While his parents are proud of Kyle and his accomplishments, Justin appears to be a disappointment, particularly to his father Ray. While Kyle is a heroic man of action, Justin is a troubled teen who escapes into the virtual world of computer gaming, perhaps to insulate himself from his father's disapproval. Naturally, the family dynamic changes following Kyle's death and the subsequent arrival of Max. Traumatized by his war experiences and mourning for Kyle, Max is nervous and aggressive. As the Marine who introduces Max to the family explains, dogs can suffer post-traumatic stress disorder, just like human soldiers. But Max is drawn to Justin, who re-trains him with the help of his best friend's cousin Carmen, a tomboy with a reputation as a "dog whisperer." Ray does not trust Max, however, and is led to believe that he was responsible for his son's death. At this point the plot shifts and the adventures begin. Justin has been selling pirated video games to a petty criminal who is also involved in the illegal arms trade. Justin runs afoul of the arms dealer and as a result Ray is kidnapped and Max is taken to the local pound to be put down. In the end, of course, everything turns out well. Max uses his military skills to fight the arms dealer's pit bulls and helps Justin and his friends to rescue Ray, who learns to trust Max and show his love for Justin. You can never criticize animal actors, and the four canine actors used to play Max were all perfect. Human actors, on the other hand, are often the focus of criticism. I found Thomas Haden Church's performance as Ray Wincott, the father mourning his dead son and blaming Max for his son's death, a little wooden. Lauren Graham gives a strong performance as Pamela Wincott, who is mourning Kyle but at the same time trying to support Justin and Ray. I found Josh Wiggins, who previously played a delinquent teen in Hellion (2014), adequate but not brilliant. However, I was very impressed by the strong performance of newcomer Mia Xitali as Carmen. Max is rated PG for action violence, peril, brief language and thematic elements, and has received mixed reviews. Some critics take issue with the predictability of the plot and the way it changes midstream from a family drama to a children's adventure movie. Others lambaste it as a propaganda movie for kids which glorifies war and the use of animals in warfare. It is also praised as a realistic depiction of the traumatic effects of combat. Before deciding whether or not to take their children to see Max, parents need to consider whether it is age-appropriate for their children. The dramatic elements of the first half seems more appropriate for children over 12, but could be a little difficult for younger children to sit through. The action focused second half, on the other hand, is more suitable for younger children, although they might be disturbed by the scenes which show dogs fighting. Parents should also consider some of the movie's themes, such as the use of service dogs in combat and the issue of PTSD, and be prepared to discuss them with their children. As an adult, I thought that rather than glorifying war Max began by providing a unique insight into the toll that war takes on combatants. However, while I thought the mid-movie transition worked well plotwise, I also sensed that the writer's were avoiding the challenge of examining more closely the issues they raised in the first half. If they had met that challenge, they could have produced a much more interesting script and a far better movie. It's definitely worth seeing, Pat, but, as I said, I thought the first part was better than the second part.